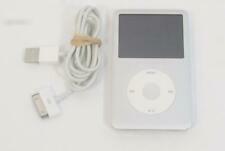 IPOD: APPLE MODEL IPOD MC297LL/A CLASSIC 160GB, GREY, IPOD CLASSIC, 160 GB. Generation ?. 7TH GENERATION. iPod Product Line?. iPod Classic. iPod Color?. Storage Capacity?. It may or may not include the original box. Apple iPod Classic 7th Generation Black A1238 MC297LL/A 160GB. Over 3,000 Songs - variety of genre! This excludes weekends. Color shade may vary on different type of monitors and lighting. New ListingApple iPod Classic 7th Generation 160GB - Black - FREE SHIPPING! Good Condition! IPod in overall good condition and is fully functional. Will be reset for next user. 160gb storage and black in color. iPod has typical scratches around the body from normal use. 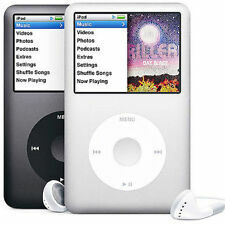 Apple A1238 iPod Classic 7th Gen, 160GB, MP3 Player, Good Working, Free Shipping. Condition is Used. Shipped with USPS First Class Package. Fully functional, battery last long. No accessories included. Has some decent wear with scuffs and scratches. Works fine no problem has charger. Fully tested, excellent working condition 100 % fully functional. Generation: 7th. Category: iPod. Item is tested to work with great battery life! Item you will receive is exactly the item you see in the photos. 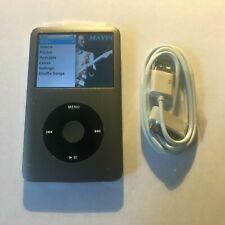 Black Apple iPod Classic 160GB A1238 7th Generation and. Sonic Impact V 55 Audio Video Player 7" LCD iPod Dock. INTERNATIONAL SALES. Apple iPod Classic 5th Generation (160GB), barely used. Condition is good, some light scratches on the metal back. This was used sparingly and then factory reset. Shipped with USPS First Class Package. Apple has made it possible for you to carry your entire music library in your pocket. The iPod Classic's 160GB hard drive holds approximately 40,000 songs, about 200 hours of video, or about 25,000 iPod-viewable photos. Portability, long battery life, and lots of storage make the 160GB Apple iPod Classic MP3 player a device that has many functionalities. 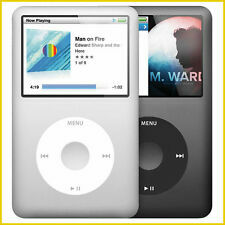 What are the specifications of the 160GB iPod Classic? How long does the battery last on the iPod Classic? You can reach an 80% charge in about two hours or a full charge in about four hours on your iPod classic by using the 30-pin USB-to-computer cord or the power adapter. When fully charged, your iPod Classic has a music playback time of up to 36 hours and a video playback time of up to six hours. What are the system requirements for the 160GB iPod Classic? How do you use the 160GB iPod Classic? Using the iPod's click wheel allows you to scroll through your libraries. You also control the settings with the click wheel. Once you?ve turned the device off, the hold button is used to prevent running the battery down. The Apple iPod Genius lets you build your own playlist. After turning Genius on, if you select a blues song, Genius will go through your song library and select similar songs. It will then build a playlist for you. You choose how you want to listen to your music.